Team Valor's mascot Moltres has landed in Pokemon Go, but it won't be staying around long. Pokemon Go developer Niantic has come up good on releasing Legendary creatures into their hit AR-based title. Following the release of Legendary creatures Articuno and Lugia, players can now battle, defeat, and potentially capture Moltres, the flying and fire-type Pokemon that serves as the mascot for Team Valor. 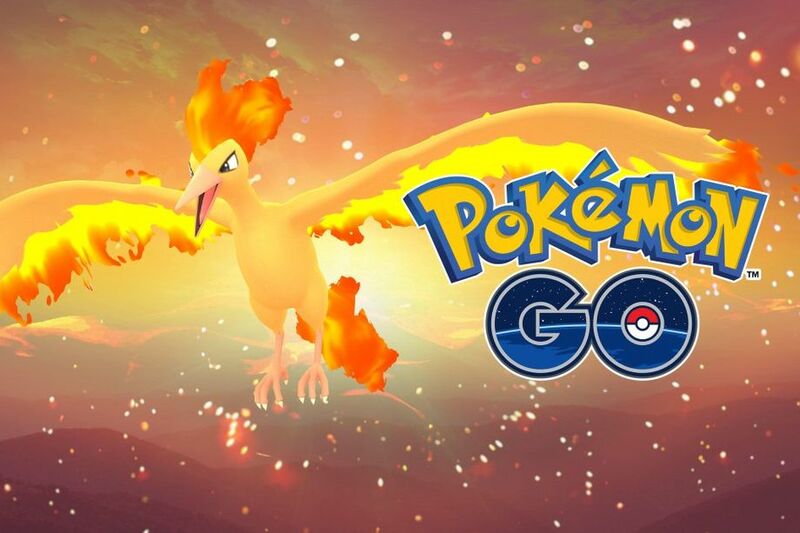 Naturally, Moltres won't be sticking around Pokemon Go forever. As with Lugia and Articuno, Moltres will only be around for a week's time. After that, on August 7, Moltres will disappear to make room for Zapdos, who will stick around for a week and disappear on August 14. It's so-far unknown which Legendary Pokemon will appear after Moltres leaves, though many speculate that Ho-Oh will fill the open Legendary slot at that time. As with other Legendary creatures, Moltres will be appearing with a base capture rate of 3%. Though small, that number can always be buffed with the likes of curve balls and great throws in addition to items like the Golden Razz Berry, meaning determined players shouldn't have too hard a time adding Moltres to their lineup. Players having trouble finding proper teammmates to take down raid battles can check out our guide on how to use the Silph Radio to sync up with local players in order to conquer Raid Bosses. Itching for more hot Pokemon Go content? Head on over to Modojo's Pokemon Go tips and tricks guide hub, which features dozens of strategies, lists, and how-to guides covering everything from Raid Bosses to bug fixes and more.